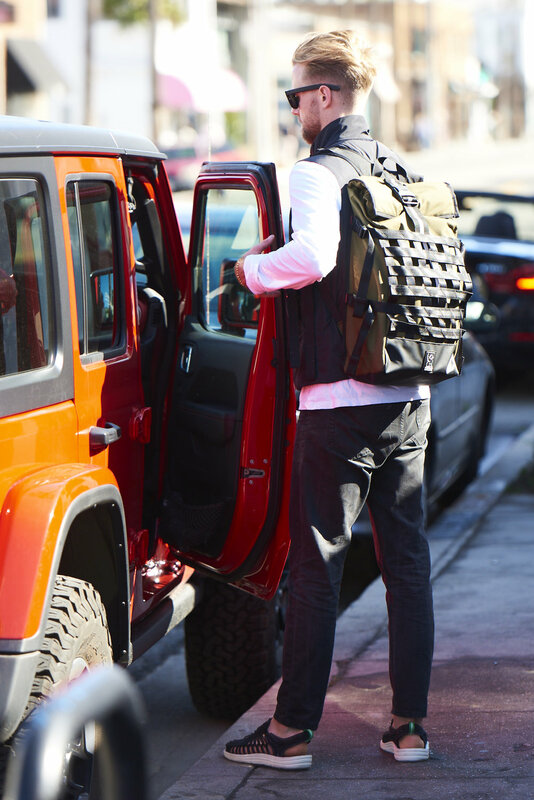 - Fit: Compact roll-top backpack that allows us to travel light when we are on the road or in town. Fits our podcast gear and camera gear when we are on the road and out of a studio - DSLR, MacBook Pro, 4 x microphones, audio recorder, hard-drives, water bottle, with room for a jacket. - What we do with it: We travel light, and this is our go to bag for podcasting and shooting (image & film) on the move. - Do we like it? This is used everyday so yes we like it. We have a ton of bags for different activities, this is now our go to for our gear in the city and beyond. It’s not a climbing pack,, it moves gear around the city for us and for that it is perfect as a commuting, city biking, travel overnight bag. Chrome bags are pretty much built for the city. Started in the way many of the brands we love have started, it was two bike messengers who couldn’t find what they were looking for and decided to create a product to meet their needs. That was back in 1995 in Boulder (Colorado). Fast forward to 2018 and they are a still building some of the toughest bags out there for city life. Sure they are now an established player in the field and are no longer the “in the know” brand they inevitably started out as. Growth comes with learning and they are still doing what they are doing and making super tough bags for the city. We haven’t found an alternative bag brand that fits the purpose we need it for out and for that we are into what Chrome do.